Another triumph for one of the Royal Court’s unsung heroes. Elyse Dodgson has been running the International arm of the Royal Court’s activities for nearly two decades, developing new writing voices. The project now has connections in 70 countries. Last year, the scheme resulted in the stunning Fireworks by Palestinian writer Dalia Taha. Now recent workshops in South Africa (the Court’s relationship with South African theatre goes back to the 1970s with Athol Fugard, John Kani and Winston Ntshona’s Sizwe Bansi is Dead) have delivered a new name, Mongiwekhaya and his revelatory, brave, I See You, a play that will certainly open a few eyes to post-apartheid South Africa. Mongiwekhaya is not afraid to state the unpalatable that all is not well in the Rainbow Nation, least of all amongst those who should be upholding its system of law and order. But, as I See You tellingly shows, a chaotic, Kafkaesque brutalism exists, one layered by so many ethnic tensions that individual firestorms of resentment and anger are capable of breaking out on the flimsiest of pretexts. The legacies of struggle run deep and ugly. A young educated English-speaking (Xhosa) African law student, Ben, picks up a white Afrikaner South African, Skinn. Their night out, however, is interrupted by a former (Zulu) freedom fighter now turned policeman in the throes of a messy divorce. 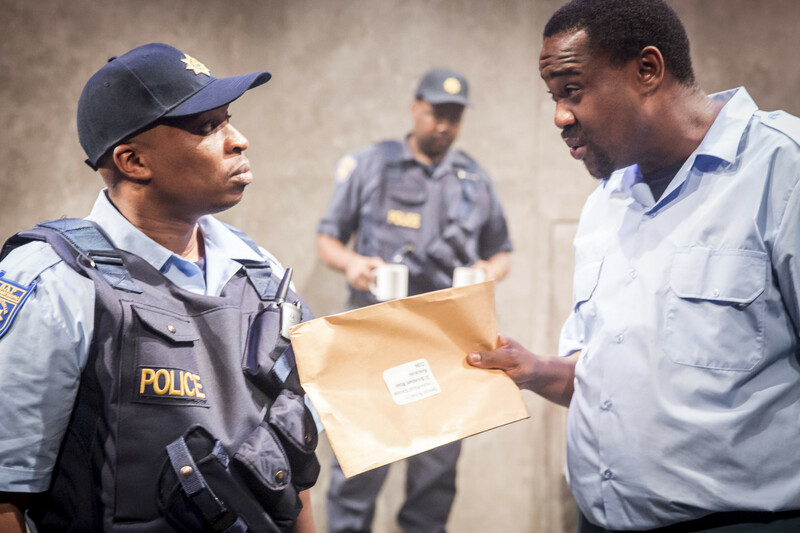 The distinctions, personal and ethnic, are important because in a nightmare night, Buthelezi, the policeman is determined to teach privileged Ben a lesson about his nation’s history whilst also giving vent to personal misery. Past and present, in other words, collide. 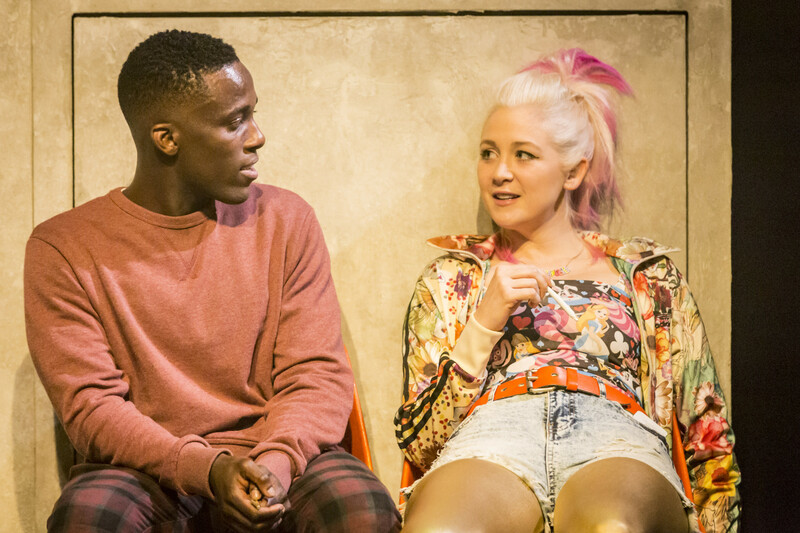 I See You also represents the wonderful actor, Noma Dumezweni’s directorial debut. A refugee from those apartheid days, her production, amazingly spoken in four different South African languages, feels sprung from raw inner truths of present day South Africa. Mongiwekhaya writes with insight and terrific courage forcing his characters to confront their individual hearts of darkness in order to find a better way forward. 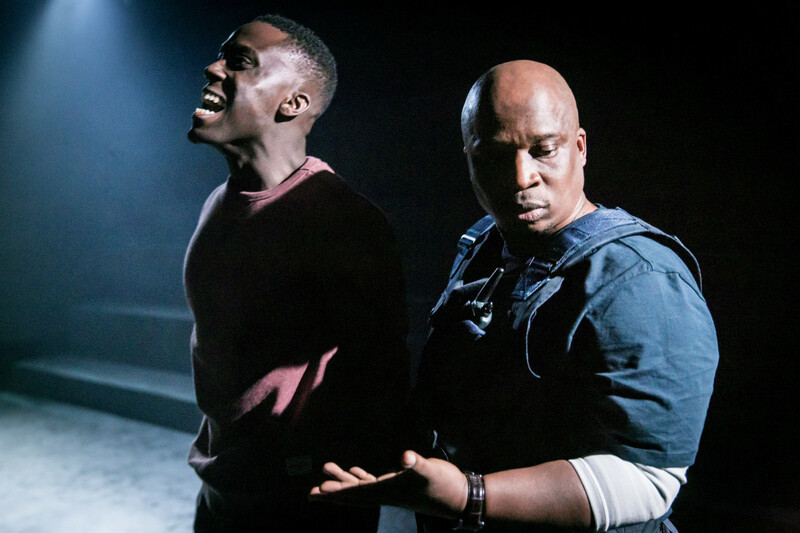 Painfully, a play of public expiation, it’s led by Bayo Gbadamosi as the softly spoken, law student and the shaven head Desmond Dube as the bullet-headed Buthelezi – traumatised and traumatising. I See You runs at the Royal Court Upstairs to March 26, 2016. 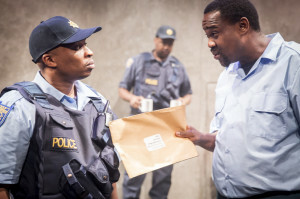 This entry was posted in 2016, Reviews and tagged Athol Fugard, contemporary South Africa, Elyse Dodgson, John Kani, Kafkesque, Noma Dumezweni, police force, Royal Court Upstairs, Sizwe Bansi is Dead, Winston Ntshona on March 10, 2016 by Carole Woddis.